Air Conditioning Repair New Braunfels: Why Does Your Air Filter Get Dirty So Quickly? Why Does Your Air Filter Get Dirty So Quickly? Hello, readers, and welcome back to our blog. If you’re wondering why your air filter gets dirty so quickly, in today’s blog we’ll be exploring some of the potential causes that may be contributing to your dirty or clogged air filter. As air filters become clogged, it impacts the regular air flow and efficiency of your HVAC system. At Legacy Air Conditioning & Heating here in New Braunfels, we care about the air quality of your home, which is why we wanted to share some of the possible causes of a clogged air filter with you, as well as offering some solutions to fixing these issues. Remember, an efficient, reliable air system will keep your home cool and dehumidified all summer, which is why If you notice a decrease in airflow, you’ll definitely want to replace the filter, or call in our skilled HVAC technicians to get your system running efficiently again. For your HVAC system to run efficiently, it’s good to replace your filters every 30 days or at minimum every two to three months. Keep track of regular air filter changes by marking them on the calendar. Because your air filter is essential to cooling your New Braunfels home, you’ll want to be sure to replace your air filters before your air conditioning system is kicked into high gear during the scorching summer months. You may even want to change them before the 30 day mark if you’re consistently running your AC this summer. Air filter efficiency is measured by a MERV (Minimum Efficiency Reporting Value) rating—those filters with a high MERV ranking are generally more efficient, while air filters with a lower MERV rating tend to be less-expensive, and often times, less-efficient. While less-expensive fiberglass filters have a shorter lifespan at around 30 days, they are a decent option if you can stay on top of changing them regularly. Other filters which have 60-90 day lifespans are generally more pricey, but will last much longer and perform better. It’s best to choose air filters that work within your budget, but that also match the use of your HVAC system. If you need help determining which air filter is best for you, just ask our friendly HVAC experts. Unfortunately, no matter how much we clean our homes, dust lingers and accumulates, especially in and around the return vents. It’s best to check your return vents for built up dirt, which gets pulled right into you air ducts to your filter where it collects. The obvious solution is to regularly clean your home, making sure to dust and vacuum in and around the vents. You can soak a cleaning cloth with warm, soapy water and wipe down the return vents, removing all dirt and grime that has built up. It’s good practice to wipe down your vents at least once a week. Do you own one or more shedding dog or a cat? If so, your furry friend is most likely contributing to the airborne contaminants clogging up your air filter. The best way to minimize pet hair build-up is vacuuming regularly one to two times per week, depending on how much your animal sheds, as well as the length and density of their hair or fur. Brushing your animal one to two times per week can also help minimize pet hair build-up. Try brushing them outside and away from your home’s vents to reduce the amount of pet hair that goes airborne. Along with shedding animals, your home’s air quality is impacted by the number of people living there. Do you work from home? If your home is a high traffic area, this also contributes to the dust and particles being collected in your filter. 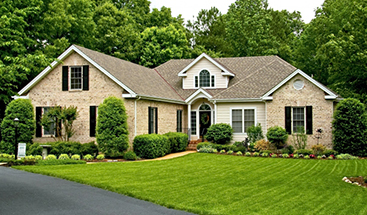 And more so if you are undergoing a major or minor home or room renovation or remodel. It’s best to keep up on your cleaning frequency to alleviate dust and particle build up on your air filter. There should be two different settings on your thermostat—“on” and “auto.” If your thermostat is set to on, that means your fan is running constantly, even when your HVAC system is not on a cooling or heating cycle. Not only is this an inefficient way to run your system, your filter won’t collect particles as quickly as when your system is in “auto” mode. Setting your thermostat to auto will also help extend the life of your filter. Leaky air ducts pull in dirt and dust from spaces that are not being conditioned, such as an attic or a crawl space. 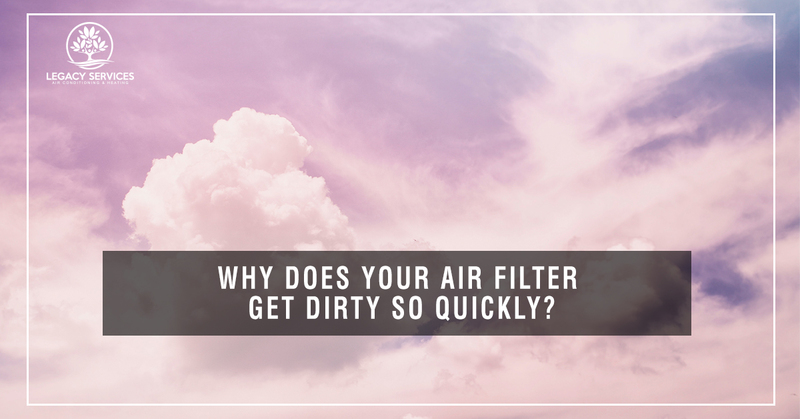 These extra particles clog the filter, making it difficult for air to pass efficiently, thus diminishing your air flow. Not only that, leaky air ducts run up your energy bill. While you can investigate your air ducts for leaks, it’s best to call in one of our knowledgeable HVAC technicians to inspect your air ducts for leaks. Our air conditioning experts can easily repair and seal leaky air ducts so you don’t have to. We hope that you have found our list of potential air filter cloggers and cleaning solutions helpful. At Legacy Air Conditioning & Heating, we’re committed to keeping your HVAC system running smoothly and efficiently all year round. If you have any questions, please give our HVAC experts a call. We’re always here to help! Be sure to check back for more helpful tips and advice for maintaining a powerful, yet economical HVAC system.